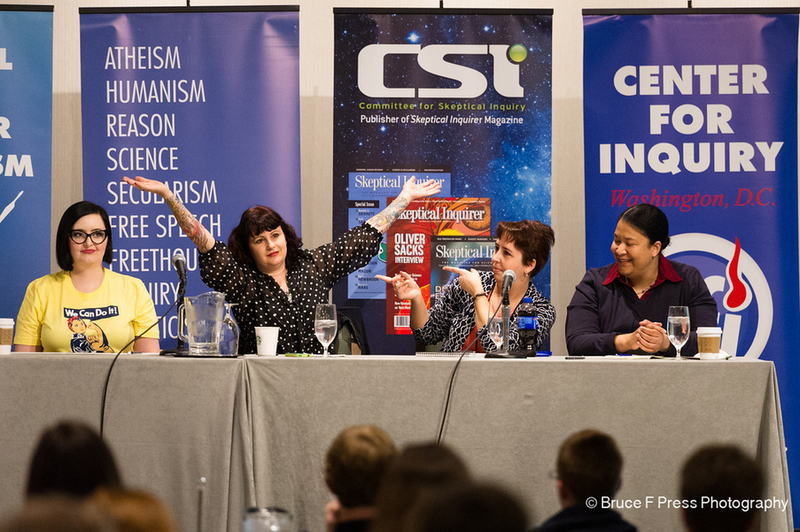 When first talking to some of my friends about the Women in Secularism conference, I noted how odd and exciting it was for me to be attending a conference unrelated to literature or creative writing. One friend said, “Well, really, it’s all about finding your people.” To say the least, the women present at this conference were definitely my kind of pe ople. 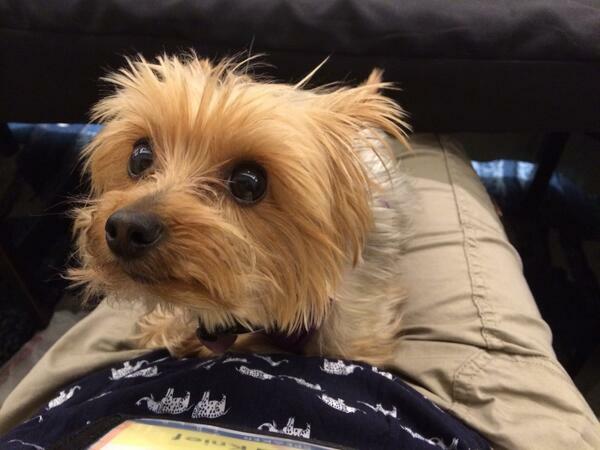 In addition to thought-provoking panels and discussions, there was unsurprisingly a dog presence at the conference. Amy Davis Roth, owner of Surly-Ramics, spoke on multiple panels and sold some of her necklaces in the storeroom. She makes ceramic necklaces that feature science-orientated subjects among other topics. I bought a dog necklace (pictured above) and later found out that she even does custom pet designs over at her Etsy shop. Her jewelry features messages like “Think” and “This is what a humanist looks like” or art prints of microscopes, organic matter, fossils, atoms, space, Darwin illustrations, depictions of iconic artists, and more. Her jewelry and ceramics are the perfect gift for the pro-science advocate. Feel free to browse around her Etsy Shop, Surly, to look over her products, talent, and pricing. If you want to check out some of Amy’s paintings, you can read this article at Mad Art Lab that talks about her exhibit at the American Atheist Art Show. Knief and Sagan were championing the table for American Atheists at the conference where Knief works as managing director. Come to find out, the American Atheists’ 2015 National Convention is in my back yard— Memphis, Tennessee. The conference is scheduled from April 3-5, 2015 at the Peabody Hotel, and you can bet that I will be in attendance. I will post more soon about the conference, which was an overload of inspiration. For now, I am going to settle in with a copy of Bright-Sided by Barbara Ehrenreich, another speaker present at the conference, and get ready to grill out some steaks. The Women in Secularism III conference was the perfect beginning to my summer. I am so jealous you went to this conference. When I lived in Commerce, Texas (before I went to work in Iraq: ’05), I had subscribed to American Atheists’ News Letter. The postman (post-person?) would deliver my mail as if it were something not to be touched w/o gloves. Did I type ‘threw?” Instead of ‘through’?? Please, do! I would love to see which one(s) you select. Yesss, this was so much fun! I’m really glad I got to share the conference with you. Definitely our people. Here’s to this becoming an annual tradition. Sounds like a pretty cool shindig, glad you had a good time. I have one of Amy’s necklaces too. It matches some of my favorite outfits. Nice write-up, Dog! I like her art prints and personality measuring methods. Sarah, is she located near me by chance? Amy is based out of California, but she isn’t located in the San Jose/San Fransisco area. You might be able to check out her website to see if she is exhibiting or selling any work nearby though. Glad to hear that you enjoy her work!